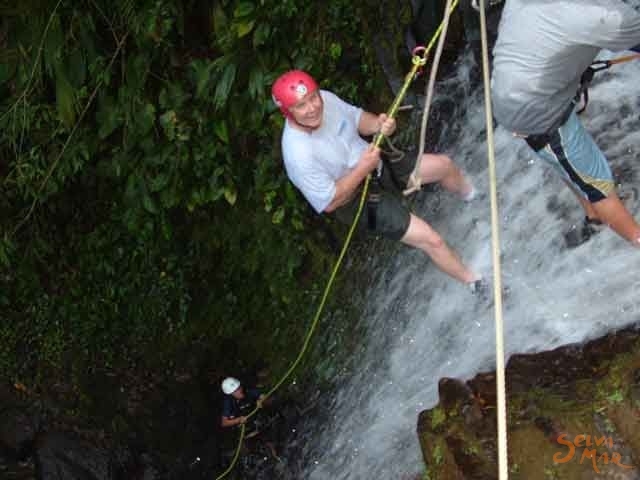 This activity involves rappelling and descending cliffs and waterfalls within the canyon. 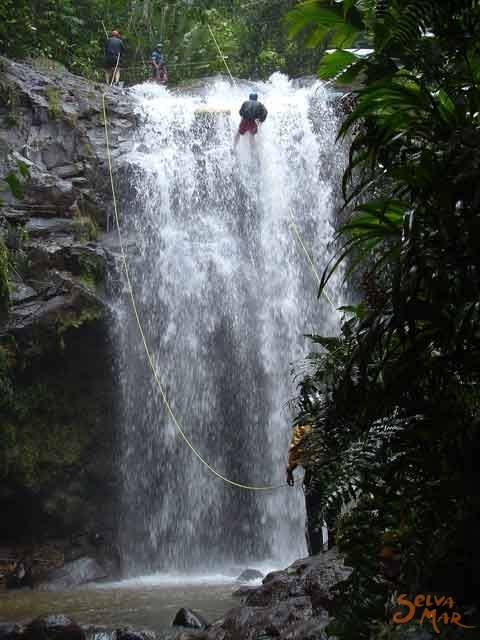 Canyoning has become very popular with extreme sport fans all over the world. This sport has been practiced in Europe for many years and recently has extended to the Americas. 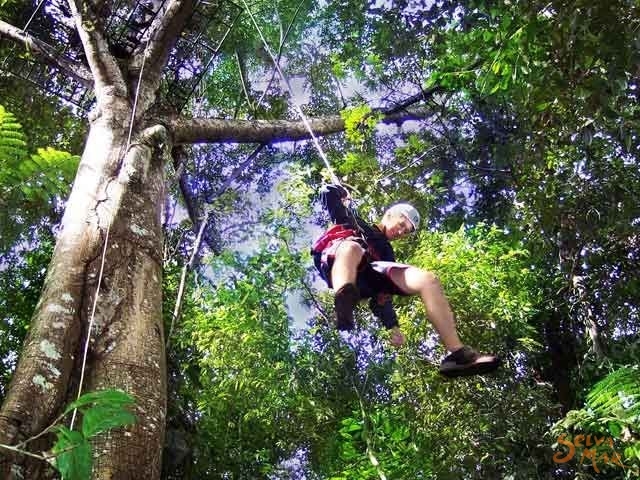 equipment for this activity – ropes, harnesses and carabiners – are the same tools that are used in rock-climbing. 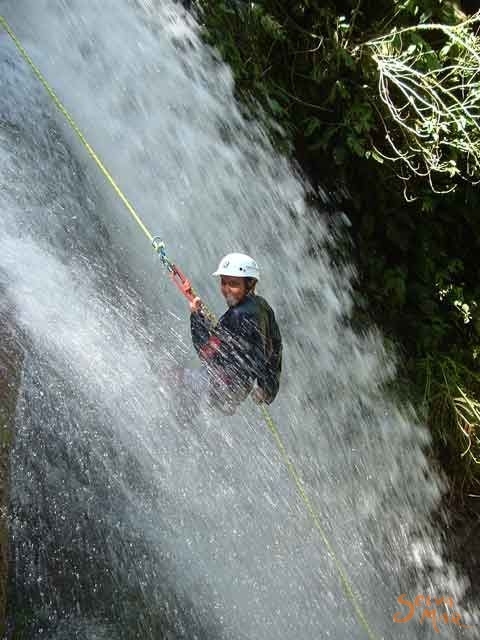 The canyon that we explore in our Canyoning tour is located in the Puente Vigas Canyon. 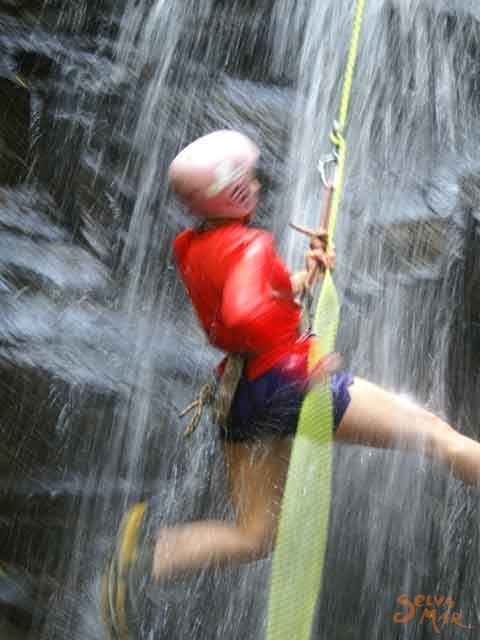 Our course guarantees you a memorable, safe, and thrilling day of Canyoning as we rappel down waterfalls, zip-line through the treetops, and enjoy the unique, natural beauty of this country. 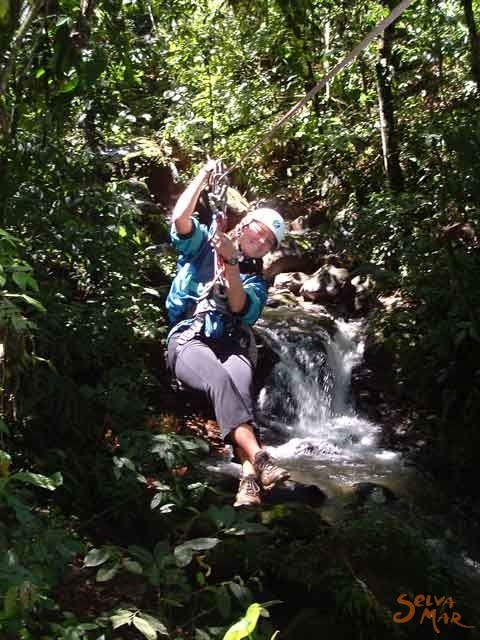 Our Canyoning site is located in Calle Chirraca, a small, modest, yet lush place near the town of Turrialba, which is an hour and a half east of San Jose. 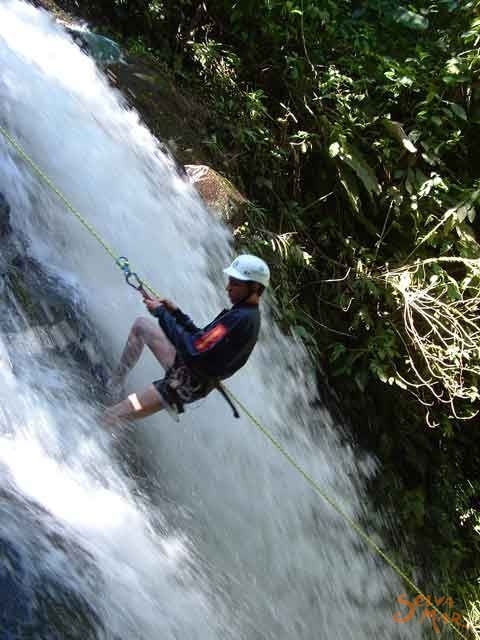 We begin the Canyoning tour with an introduction of our guides and the equipment to help familiarize you with the different uses of the equipment. We start the tour at the first waterfall where a guide will give a speech on safety. 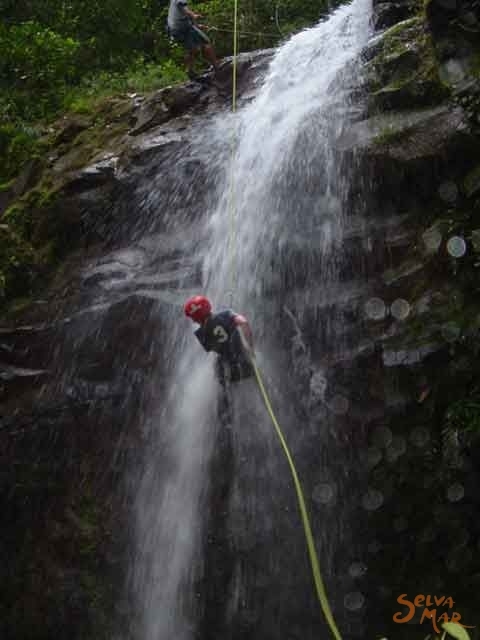 The guide will explain the course and the equipment making sure you know the necessary mechanisms and procedures for canyoning, ensuring you a safe and fun experience. 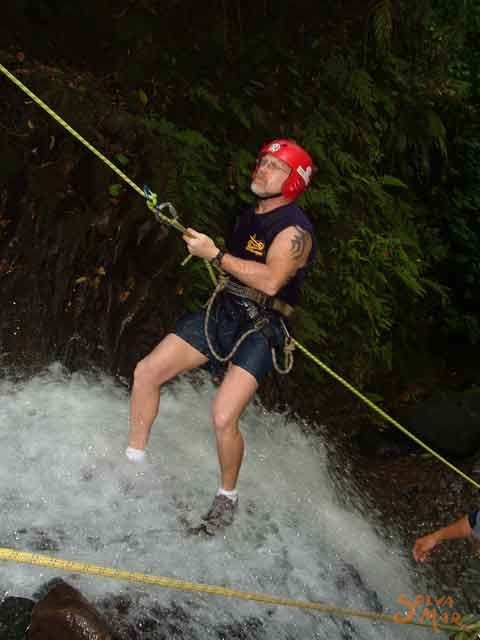 After this, you are off...rappelling down four waterfalls, zip lining down four canopy cables, descending down two tall trees and walking across a 132 foot hanging bridge – all giving you an unforgettable adrenaline rush! shoes to change into at the end of the trip. T-shirt, shorts or pants (no jeans), swimsuit, tennis or hiking shoes, insect repellent. Extra clothes and towel will be needed at the end of the tour.